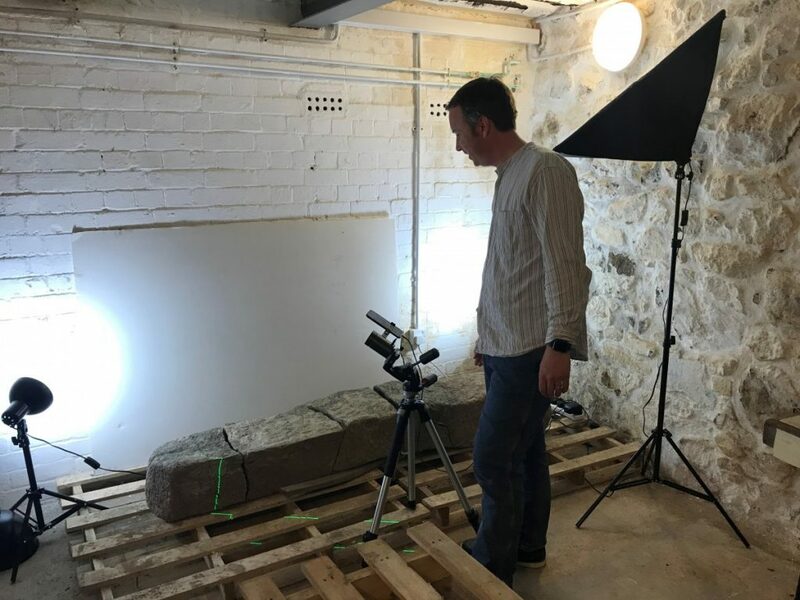 After the Cunaide Stone, Hayle’s 5th Century Christian burial stone, moved inside the Heritage Centre before Christmas, it has been resting in the depths of the old Harvey & Company offices, acclimatising to its new home after many years in the elements atop an Iron Age hill fort. The Cunaide Stone after being moved inside the Heritage Centre. Sue is seen here applying paper pulp to absorb the moisture. Whilst many scholars have attempted to decipher the inscription over the years and answer the age-old local question – who was Cunaide? – we began our own investigations last week. 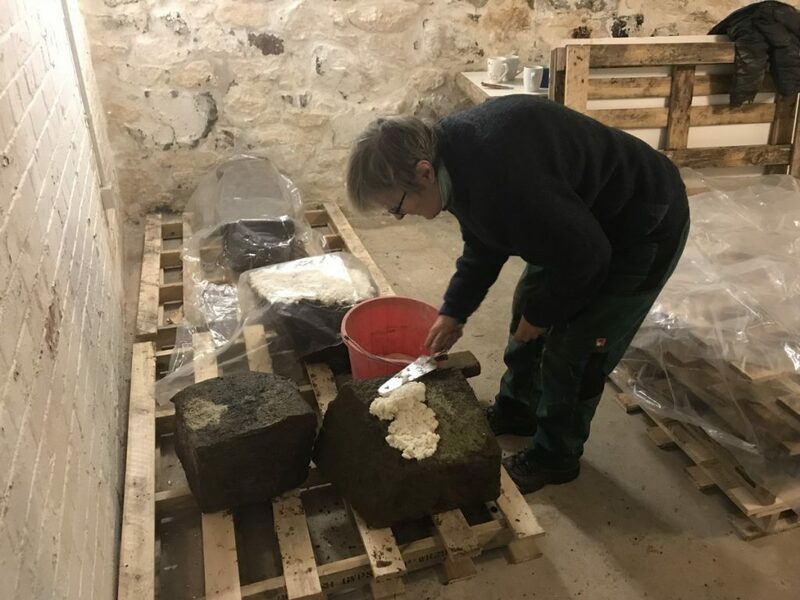 Our volunteers worked with specialist stone conservators Kelland Conservation, in consultation with Historic England, to begin the mammoth task of cleaning the stone. The paper pulp, which had been absorbing the moisture from the stone since its rehousing, was removed and the four sections of stone steadily cleaned to reveal the inscription beneath. 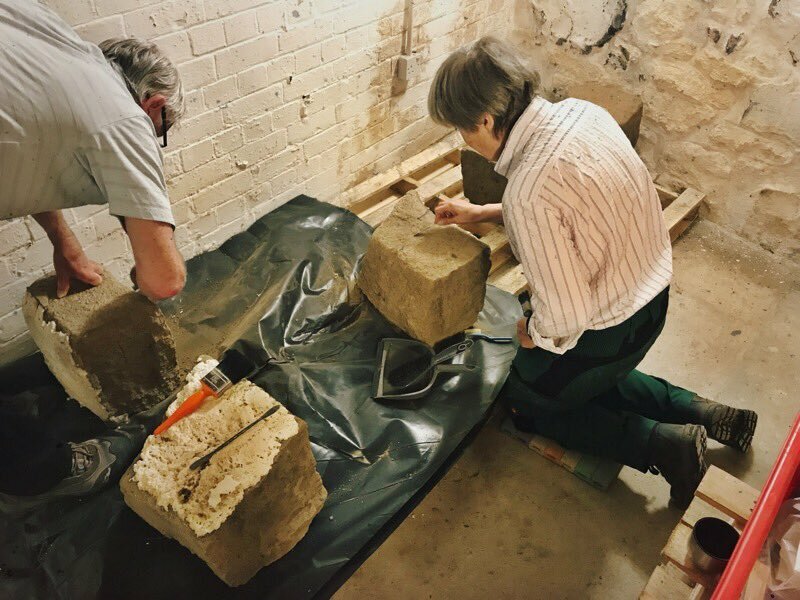 Conservator Sue Kelland and Heritage Centre Volunteer Dave Birch cleaning the stone. The result was spectacular; with the sections repositioned to resemble its structure were it intact, this is an imposing memorial. Now free of mud and lichen, the inscription is in some ways more visible than it has been in many years. Nonetheless, having been listed “at risk” for much of its lifetime as a Scheduled Ancient Monument, deterioration has been inevitable and the letters are, in places, no more than a millimetre deep. We turned to Independent Archaeologist and Digital Heritage Specialist Tom Goskar for help. 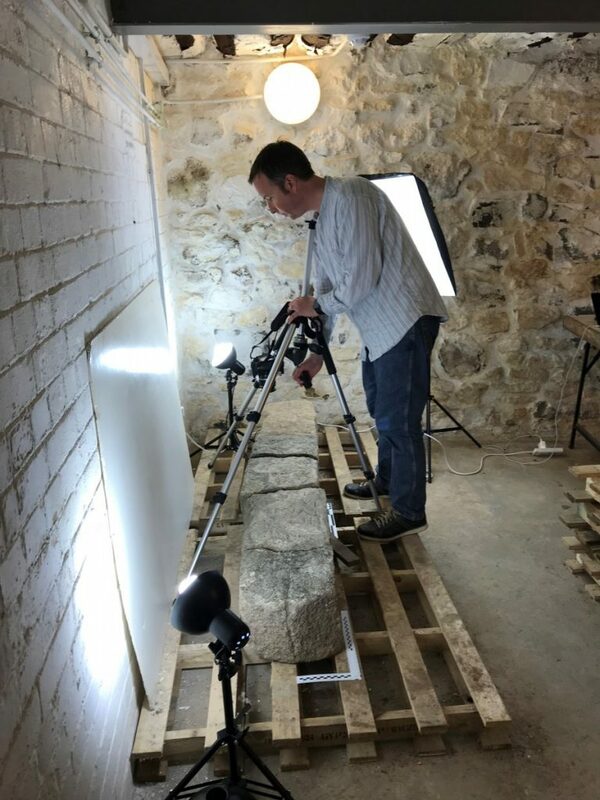 On Wednesday this week, Tom turned up armed with equipment to begin the very important task of carrying out a 3D scan of the stone. He used two different methods of recording the data: close-range laser scanning and photogrammetry. Archaeologist Tom Goskar carrying out close-range laser scanning on the stone. Raw views of the “point cloud”. These are raw views of the “point cloud” – 24 million measurement points that reveal every small detail of the stone.